Arthur H. Robinson was born January 5, 1915 in Montreal, Canada, of American parents. His early education was in Northfield, Minnesota and later in Oxford, Ohio, where his father was Professor of History. In his early teens during his father’s two sabbaticals he lived in England, and attended the Friend’s School Saffron Walden for one year. He entered Miami University, Oxford, Ohio, in 1932 and obtained the degree of Bachelor of Arts in January 1936, with a major in history and a minor in geography. After graduating, he served six months as secretary to a member of the Ohio Board of Liquor Control, but in August 1936 he decided to enter graduate school. He obtained a graduate teaching assistantship in the Department of Geography at the University of Wisconsin, Madison, studying under Professors V.C. Finch, G.T. Trewartha and J.R. Whitaker. His interest in cartography was kindled during this period when he had the first (and only) course in cartography from Professor Finch and a field mapping course from Professor Trewartha. He was granted a Master of Arts degree in 1938. In the same year he began work toward the Ph.D. degree in the Department of Geography at The Ohio State University, Columbus, studying primarily under Professors G.H. Smith and R. Peattie. His minor field was geomorphology in the Department of Geology. On December 23, 1938, he married Mary Elizabeth Coffin. They have two children: Stephen M. and Patricia A., born respectively in 1942 and 1948. While pursuing his graduate studies at Ohio State University, he began doing free lance cartographic work, such as for R. Peattie’s Geography in Human Destiny (1940) and for Scott, Foresman and Company, publishers of This Useful World (1941), and the Our World series. He completed his qualifying examinations for the Ph.D. in the spring of 1941 and planned to begin work on a dissertation in September, but chance interfered. Professor R. Hartshorne, newly appointed Chief of the Geography Division of Colonel Wm. Donovan’s agency, Coordinator of Information (later to become the Office of Strategic Services, OSS), happened to stay overnight with R. Peattie while en route to Washington, DC. Hartshorne was looking for a geographer-cartographer and Peattie recommended Robinson. In October of 1941, Robinson went to Washington and some months later was named Chief of the Cartography Section of the Geography Division. In a subsequent reorganisation of the Research and Analysis Branch of the OSS, a Map Division was created with Robinson as its Chief. It consisted of four sections, Cartography, Map Intelligence, Topographic Models and Photography. In addition to serving the needs of the OSS, especially the Research and Analysis Branch, the Map Division, OSS, prepared most of the strategic maps for the Joint Chiefs of Staff and prepared the base materials for the daily situation maps for the Operations Division of the War Department. The Map Division, primarily Map Intelligence and Cartography, had overseas offices in the principal theaters. Robinson served as the Chief Map Officer for the American delegation at the two Allied Quebec Conferences and the Cairo Conference. While in the OSS he was commissioned Captain and rose to Major in the Army of the United States. 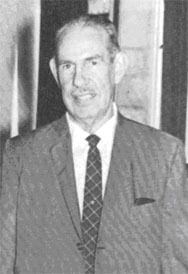 In the summer of 1945 Robinson accepted the offer of an assistant professorship in the Department of Geography at the University of Wisconsin, Madison, and began his teaching duties in January of 1946. Meanwhile he had changed his plans for a dissertation and proposed a new topic having to do with cartographic methodology. It was approved and the degree was awarded by Ohio State in 1947. The dissertation was revised and became his first book, The Look of Maps, an Examination of Cartographic Design (1952), published by the University of Wisconsin Press. During his 35 years in the Department of Geography, he taught physical geography and established the instructional program in cartography. 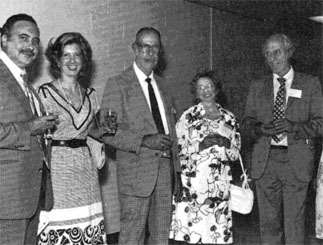 Through his efforts a mapmaking establishment was formed, growing from a small organisation in the late 40s to become the official University of Wisconsin Cartographic Laboratory in 1966. He also led the drive which culminated in the University offering Bachelors and Masters degrees in Cartography. He retired from teaching and was granted emeritus status in 1980. The first edition of his Elements of Cartography (John Wiley and Sons) was published in 1953. The fifth edition (with R.D. Sale, J.L. Morrison and P.C. Muehrcke) was issued in 1985. Altogether he is the author or co-author of 16 books and monographs, including The Look of Maps, Elements of Cartography (5 editions), Fundamentals of Physical Geography (3 editions), Elements of Geography (2 editions), The Fidelity of Isopleth Maps, Dot Area Symbols in Cartography, The Atlas of Wisconsin, The Nature of Maps, Early Thematic Mapping in the History of Cartography, more than 50 professional articles, and numerous maps in books, editorials, reviews, encyclopedia articles, etc. He has been active professionally, both in cartography and geography. He served as President of the International Cartographic Association (1972-76), was a member of Commissions II and IV and is currently a member of the Commission on the History of Cartography for which he is serving as co-editor of the Glossary of Cartographic Innovations Prior to 1900. In the American Congress on Surveying and Mapping he served on the Board of Directors, was Chairman of the Cartographic Division and was editor of The American Cartographer during its first three years. He was President of the Association of American Geographers (1963-64). He was instrumental in the establishment of the Office of the State Cartographer in Wisconsin and served as first Chairman of the Committee on State Cartography. Professor Robinson has received numerous honors and awards, including the United States Army – Legion of Merit (1946); Association of American Geographers -Citation for Meritorious Contributions (1953); Geographic Society of Chicago – Distinguished Service Award (1959) and the Helen Culver Gold Medal (1983); Guggenheim Foundation – Research Fellowships (1964 and 1978); American Congress on Surveying and Mapping – Earle J. Fennell Award (1977), Honorary Member (1978), and Cartography Division Award for Meritorious Service (1979); University of Wisconsin, named Lawrence Martin Professor of Cartography (1967) and its map collection was named the Arthur H. Robinson Map Library (1982). He is the recipient of two honorary degrees: Miami University – Doctor of Letters (1966) and The Ohio State University – Doctor of Science (1984). Mr. President, Ladies and Gentlemen, Speaking on behalf of the International Cartographic Association I would like first of all to express my appreciation for the gesture of the American Congress of Surveying and Mapping in granting me the opportunity to mount this platform. The more so as this presentation will take place, though for reasons of an altruistic nature, upon the explicit initiative of the ICA itself. The reason of this intrusion is the decision of the Executive Committee of our Association, upon recommendation of its Committee for the Selection of Award Recipients to pay tribute in public to an American scientist who is internationally esteemed for his promotion of the discipline of cartography. No location was considered to be better suited for this ceremony than the home country of the scientist concerned, i.e. his national professional environment, thus enabling colleagues and friends to attend the presentation and to rejoice in the tribute paid to their compatriot. Further no occasion was thought to be more suitable for the ceremony than an ACSM convention, where, contrary to the situation in most other parts of the world, the collective surveying and mapping community in all its diversity and unity participates. The distinction that will be presented is a medal, a bronze medal – only photogrammetrists could afford gold – and bears the name of the Swedish scientist Dr. Carl M:son Mannerfelt, who initiated the International Cartographic Association in the fifties. The medal was established during a meeting of the Executive Committee in the Swedish Academy of Sciences in Stockholm where the inspiring portraits of great explorers such as Nordenskjold and Sven Hedin were looking down upon us. So far the medal was only presented to the Swiss cartographer Eduard Imhof, who was the first president of our Association. After this background description of the present ceremony it is time to unveil the identity of its beneficiary, Dr. Arthur Howard Robinson, Lawrence Martin Professor in Cartography at the University of Wisconsin, Madison, Honorary Member of the American Congress of Surveying and Mapping and recipient of many American distinctions. In the scientific sector Dr. Robinson repeatedly emphasises the central core of cartography i.e. the presentation of spatial data. His message is that amidst the dramatic technological modifications of the map production process, the fact should not be overlooked that maps are utilitarian, that they are communication devices i.e. instruments for understanding and communicating environmental data. Fully realising that map making continues to depend heavily on technology, he emphasises that the functions of technical operations have to be considered in relation to the main objective of the map. His concern for the function of communicating environmental data has resulted in a long series of research publications and masters and doctoral theses on communication and perception in cartography. These publications have led to better insight of practical information transmission and at the same time to a better understanding of the nature of maps. Almost needless to say that Dr. Robinson in this field is considered an authority of international reputation. In his search for a general theory of cartography, Dr. Robinson became further deeply involved in the study of the history of cartography, particularly of thematic cartography, in which field he discovered that many of our current methods have a long and interesting history. It is no exaggeration to state that Dr. Robinson is the dean of the historians of cartography in North America if not of the Western World. In the field of education Dr. Robinson’s name stands for a combination of a precise command of language and subject matter. He has the gift to explain complicated problems in simple, lucid words. Undoubtedly this talent has also contributed to the success of the cartographic curriculum at the University of Wisconsin, Madison, which developed under his guidance into one of the leading centres of cartographic education in the Western World, and where many students from overseas have been enrolled under Robinson’s supervision. The same teaching talent underlies the success of the textbook Elements of Cartography, undoubtedly one of Robinson’s most valuable contributions to international cartography. The book first came out in 1953, since then with great regularity, every 8-9 years new editions have appeared. The present fourth edition was written in collaboration with Dr. Morrison and Mr. Sale. It is a rare privilege in the publishing world to be an author of a textbook on an ever changing subject such as cartography which after almost 30 years is still in great demand. It is a hallmark of the capacity of the main author Dr. Robinson to keep abreast with the technological innovations and to merge them into a textbook which still serves as a guide par excellence for a growing population of cartography students in the English speaking world. In the field of management special mention should be made of Dr. Robinson’s contributions to the International Cartographic Association, of which he was President from 1972 to 1976. He was a fine President. Upon his initiative, an ICA Publications Committee was created, which has successfully started a series of ICA Publications since then. It was under his presidency that the Commissions were properly organised for specific time periods with well-defined terms of reference. Also during his Presidency the so called Third World Strategy of the Association was adopted, which resulted in a series of seminars held in developing countries. Undoubtedly his scientific authority contributed much to maintain order and discipline in the Association which, due to diverging political structures and interests of its member countries, is not always easy, particularly not in an Association devoted to a subject such as cartography. Further the international cartographic community has greatly benefited from Dr. Robinson’s initiative in establishing The American Cartographer in the early seventies. Under his editorship and later under that of Dr. Judy Olson the journal with its well-balanced selection of articles, reports and reviews, rapidly became one of the leading bulletins in the western world comparable only with a few sophisticated publications such as the British, Canadian and West German sister journals. The ICA Committee for the Selection of Award Recipients in reviewing Dr. Robinson’s curriculum vitae and publications had to overcome one particular problem. It discovered that the distinguished professor started his career long ago in the thirties as secretary of the Ohio Board of Liquor Control, which made him rather suspicious in the eyes of some, and overzealous in the eyes of others. The fact that Dr. and Mrs. Robinson at mature age settled on biblical ground in Wisconson in the township of Mount Horeb (Hebrew for Mount Sinai), reconciled the conflicting opinions in the Committee. Dr. Robinson, it is said that a prophet is not honoured in his own country. From the very fact that an impressive number of awards and honours have been bestowed upon you in the past in your home country, it follows that either this rule does not apply to you or the qualification of prophet does not fit you, which I am sure you will appreciate most. However, for your friends in the international cartographic community your word stands for wise and philosophical understanding and as such has a prophetic connotation. As a token of the deep appreciation of the International Cartographic Association for your promotion of the profession, I am honoured to present you the Dr. Carl Mannerfelt Medal, the highest distinction we have, it bears the inscription in Latin “Ob Merita Egregia” which means “Acquired by Extraordinary Merits”. Before presenting you the distinction I may finally read the citation of the Medal Committee which once more underlines our appreciation.